Get 10% off your purchase at UltraFootball.com with voucher code "BOOTHYPE10"
In a world dominated by modern knit tech, is there space for premium leather craft? ‘FILM IS NOT DEAD!’ screamed my photographer friend’s Instagram Story as she posted a series of photos online, all taken on film. I’ll admit, to the casual outsider, the whole issue felt like a hopeless charge against the inevitable tide of modernisation, where digital photography seemed to hold all the aces and advantages. Film wasn’t bad, the world just.. moved on, leaving a niche group of people really selling its benefits. 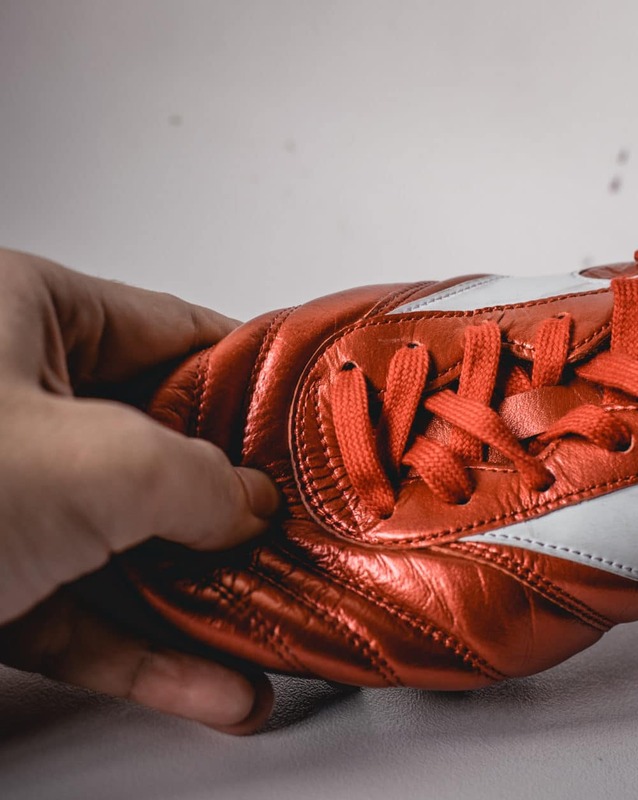 Similarly, in a 2018 football landscape dominated by buzzwords such as ‘LACELESS, CLEAN STRIKING UPPER’, ‘COLLAR FOR BOOT TO FOOT CONNECTION’, ‘KNIT UPPER FOR SOCK-LIKE FIT’, ‘LIGHTER IS FASTER’, it’s easy to feel like the classic full kangaroo leather boot’s time has come and gone. 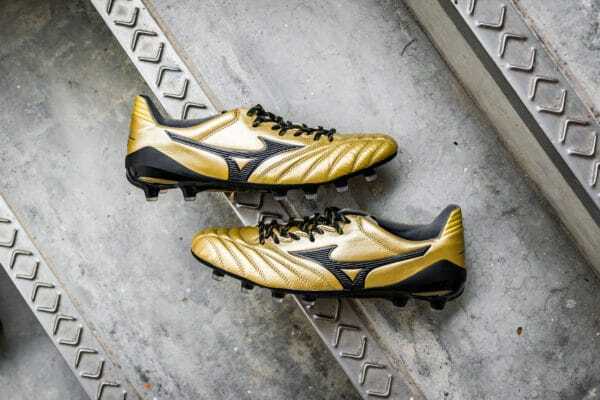 Mizuno’s philosophy towards football boots has been driven by 4 key concepts – natural barefoot touch, fit, weight and premium Kangaroo leather which began with their first Morelia back in 1985. It weighed in at 245g which was unheard of at that time. For reference, the adidas Copa Mundials came in at a hefty 313g. Launched in 1985, the Runbird was the first iteration of the Morelia series and weighed in at only 245g. 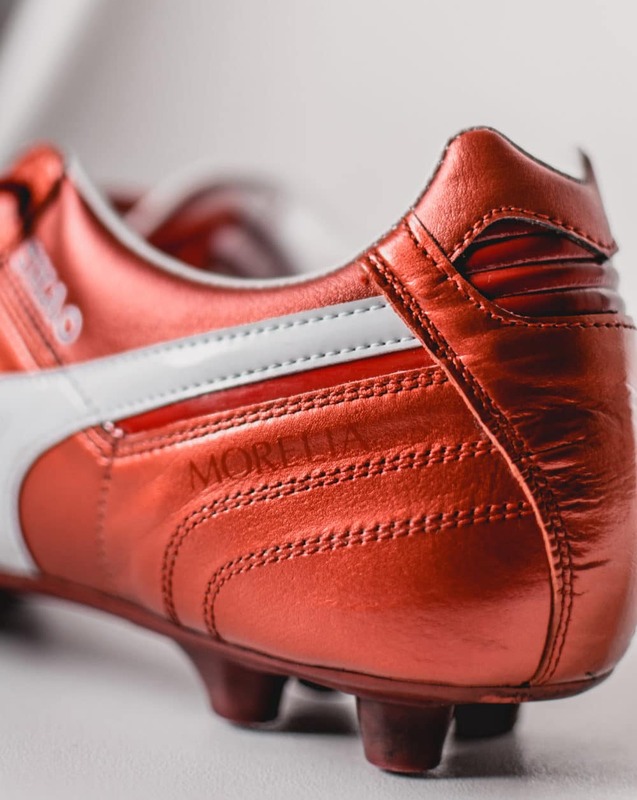 Through the years, the Morelia series went through tweaks but not major overhauls. 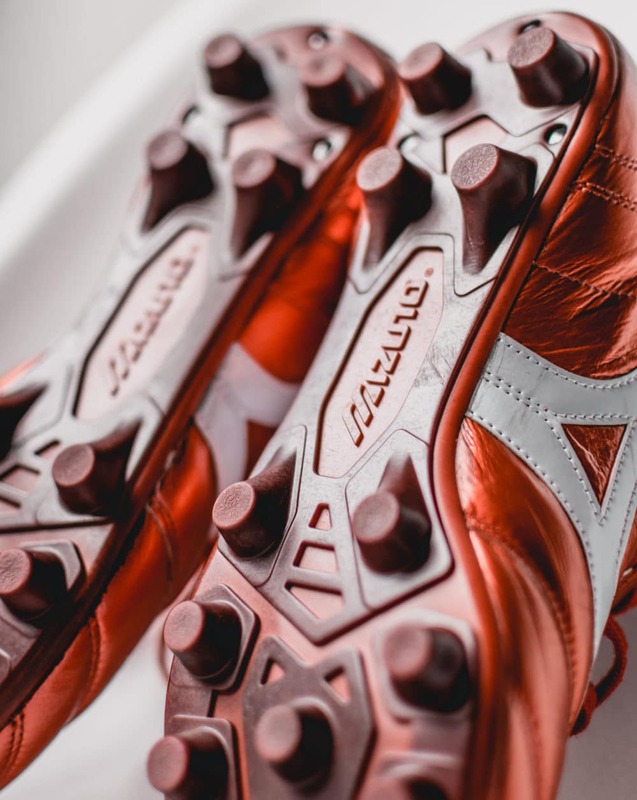 Mizuno mostly updated the materials to increase durability and to modernise its features such as incorporating and FG/AG soleplate and reducing its weight. But the driving philosophy of giving footballers, regardless of position or playing style, a comfortable barefoot fit and feel has shone throughout its iterations. For reference, this review is done on the 2015 version of the Mizuno Morelia 2, the Red Passion colourway from Mizuno’s World Cup Pack. We can’t discuss a Mizuno boot without talking about that oh so buttery soft Kangaroo Leather upper. 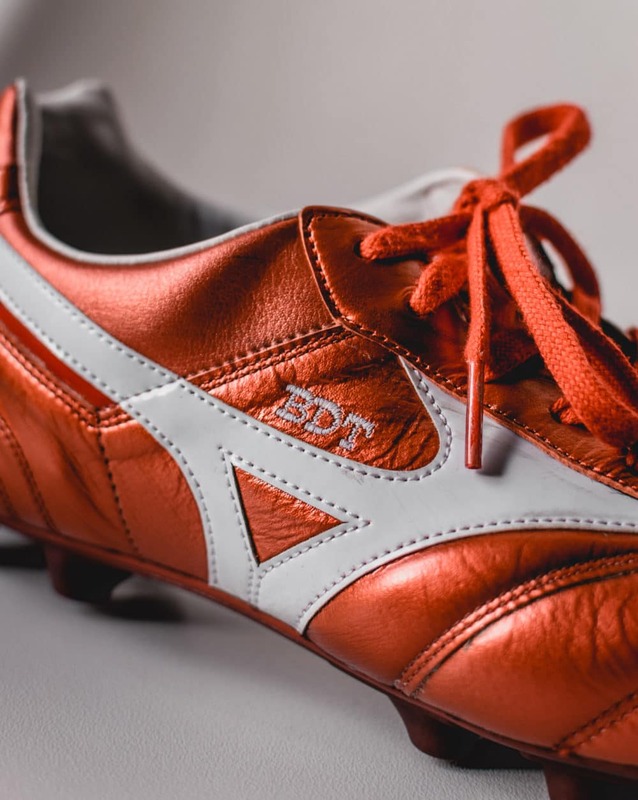 Kangaroo Leather has been Mizuno’s leather of choice from the very first football boot. It is pliant and soft with fibers that follow a uniform direction. This allows the upper to maintain its structure and minimize any overstretching while still moulding perfectly to the shape of your foot. 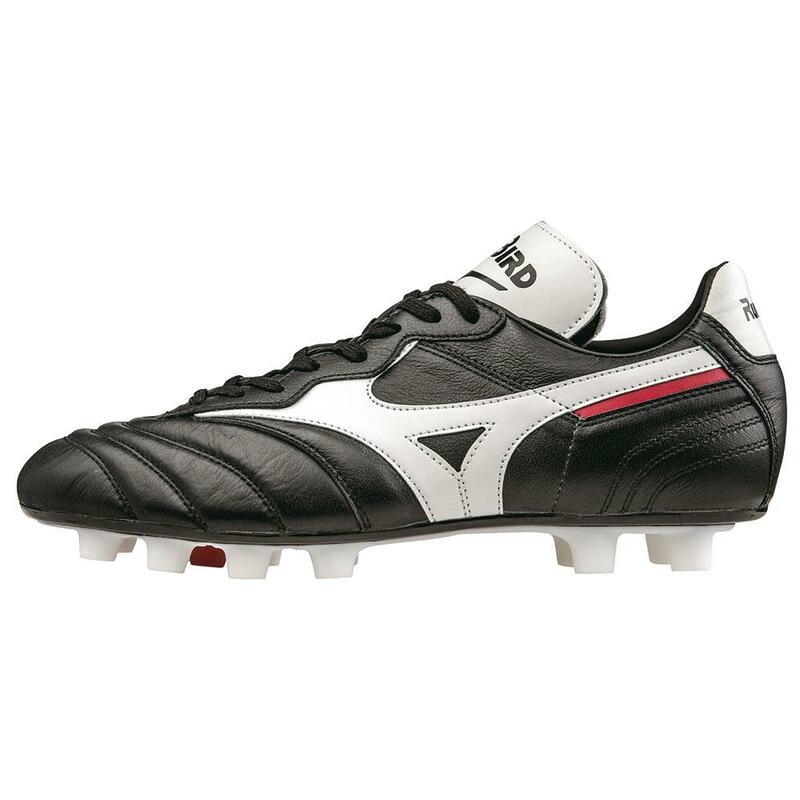 The Mizuno Morelia 2 also uses scotchguard K-leather which is washable kangaroo leather that reduces the amount of water it absorbs even when playing in wet conditions. The upper is reinforced in 2 ways – a dense taffeta polyester backing internally as well double-stitching on the leather, both of which further prevents the upper from overstretching. The Mizuno Morelia 2 also adopts the Wave-Fit Lacing system, where the lace holes are actually positioned in a zig zag formation shape for easy customisation of fit and also prevents the boot from bunching up when bending the boot. Products made in Europe have the reputation of premium quality and craftsmanship. For example, Nike has their Montebelluna factory in Italy that has churned out the Hypervenom GX, Flyknit Ultra and Tech Craft collection. 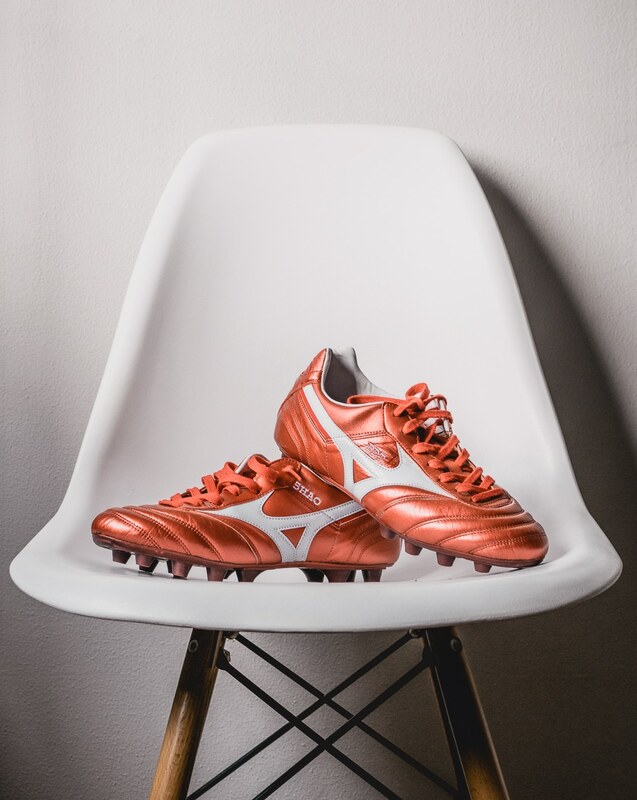 Similarly, Mizuno’s “Made In Japan” (MiJ) series are crafted by the finest Japanese Mizuno artisans who personally craft each boot by hand and are lasted for 24 hours to give their boots the perfect shape, structure and fit. In contrast, most other brands last their boots for approximately 20 minutes. Their durability is also near legendary. I had a pair of the 20th anniversary Morelia 2 and those lasted me for 4 years despite me playing exclusively on AG pitches. The MiJ Mizuno Morelia 2 MiJ’s soleplate and upper are also riveted, which helps to prevent sole separation. So trust me when I say that your MiJ boots are here to last. It shouldn’t come as a surprise to hear that the MiJ Mizuno Morelia 2 fits like a soft comfortable broken-in pair of leather slippers. Initially, the fit is snug to allow the boot to fully wrap and mould around your foot’s unique shape. The leather tongue is also padded to ensure that lace bite is never an issue. The boots are so comfortable that you forget that they’re on your feet which shifts your focus to what really matters – delivering on the pitch. 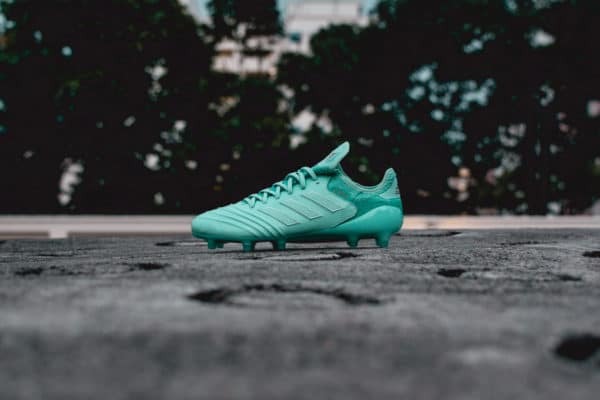 From deft flicks to ‘Ronaldinho’-styled ball traps something about the boot just makes me caress the ball into doing what I want, like that old motherly teacher you had who always got the best out of you with her kindly smile and words. Like most boot manufacturers, Mizuno inserts a small layer of foam in between the leather and its backing – giving it the padded, dampened feel we’ve come to know of leather uppers. This would also mean that we don’t experience the crisp, barefoot feel when it comes to touch, especially when striking the ball. A leather boot lover’s dream. I’ve never felt particularly hampered while shooting, especially with the laces, but some of the younger generation that I coach have expressed that they don’t like shooting in the Mizuno Morelia 2 MiJ as they prefer something more minimal like the Nike Mercurial Vapor or the adidas X18.1. At the end of the day, it comes down to personal feel. Arguably the biggest change that Mizuno made to the MiJ Morelia 2 in their 2015 update were to the soleplate. Instead of traditional Pebax, they transitioned into a dual density soleplate, using nylon instead to make the soleplate lighter and more durable. 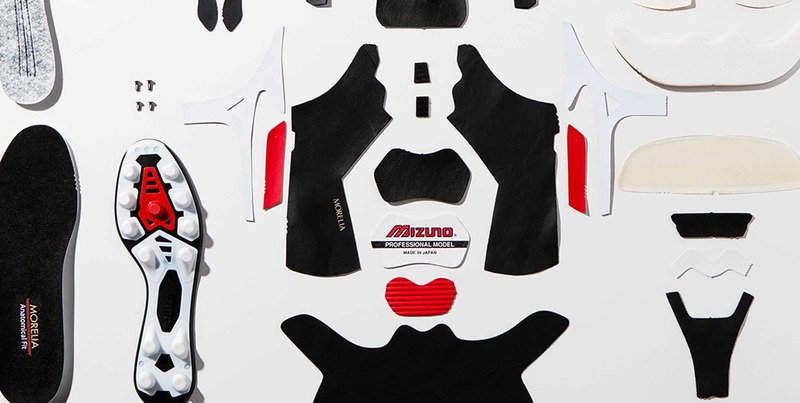 The enhancement to durability allowed Mizuno to coin it an FG/AG soleplate – to take on the rigors of a harsh AG surface. It’s a very stable plate with rounded studs that doesn’t feel excessively grippy on both FG and AG. Having said that, on poorer quality AG fields, the studs aren’t always able to penetrate through the field properly. You do feel a little unstable in such instances but that’s down to the pitch than the studs. The soleplate is your typical 9×4 with rounded studs that prioritizes maneuverability though you sacrifice that ‘bite’ from bladed studs for aggressive traction and acceleration. What I do love, is that it feels extremely comfortable and natural to run in. The forefoot area is flexible, while the midfoot is stable. The insole provided also deserves a shout, despite the lack of branding (*cough* Nikegrip *cough*). The texture is extremely grippy and I’ve actually stopped using Trusox with this insole as it gets way too grippy when playing. What’s Next For The Mizuno Morelia 2 MiJ? It’s easy to look at the Mizuno Morelia 2 MiJ in the same way one looks at film cameras – past it. Do people still want a full kangaroo-leather boot in 2018? 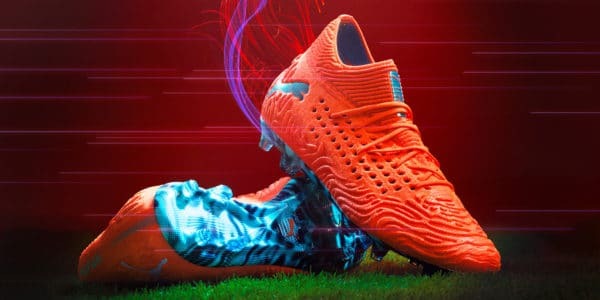 You have the likes of Thiago Motta and Kaka using the Morelia 2 despite not being endorsed by Mizuno, but you’d expect the younger generation to pass over it for fancier new tech such as like the knit or mesh uppers (that also works). Even the Nike Tiempo Legend 7 incorporated some modern tech with foam cages and flywire cables. The 2015 Morelia update also felt like a step back. If I wanted a lightweight k-leather boot, I’d have easily gone for the equally excellent Morelia Neo 2 which are a thinner, modern interpretation of the Morelia 2. Most people like myself who love the Morelia series, appreciate them for its nicely padded touch with a comfortable natural feel which was very evident in the pre-2015 versions. That weighed in at a comfortable 245g and had a slightly thicker upper. Is the Morelia 2 still relevant with the Morelia Neo 2 and Rebula in the market? Don’t get me wrong, the 2015 Morelia 2 MiJ is still a great boot in 2018. Its flaws surface only when compared to the other options available in the market. But when you have a Morelia Neo 2 that is 180g with a slightly less padded leather upper that still gives you the lightweight and barefoot feel, the Morelia 2 start to feel out of place, especially when you consider its price tag. A Boot Out of Time? So, where does the Mizuno Morelia 2 MiJ sit in the crowded boot market? Like my niche group of friends who continue to promote film, I’ve found myself constantly shouting its positives to anyone and everyone who’ll listen. If you’ve got a wide foot and love a good, comfortable leather boot that will last for a long time, plump for the them, its absolute value for money and you definitely won’t regret them. If not, I’ll definitely recommend you to look at the MiJ Neo 2s instead. You can never wrong with a MiJ boot. A solid boot that is durable, supremely comfortable and does everything as advertised. But that’s not enough in 2018.